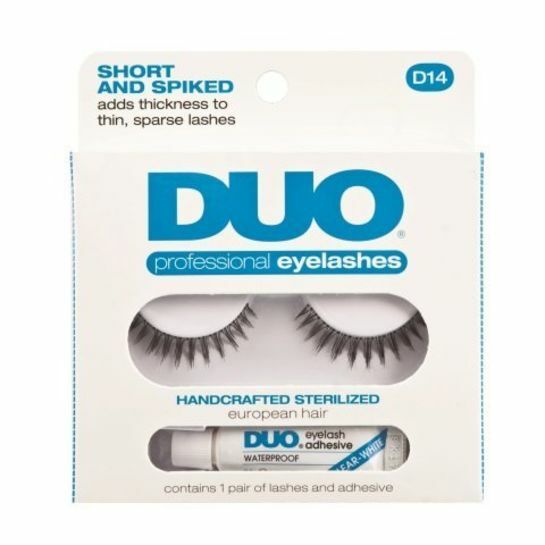 DUO Eyelash Adhesive (also known as DUO Striplash Adhesive 0.25 oz, 7 g) is the world's best selling waterproof strip lash adhesive and has been a favorite of professional makeup artists for decades. This latex-based formula was created for all-day wear with strip lashes and can also be used to apply individual lashes, lasting several hours. Note: New DUO Eyelash Adhesive packaging no longer says the word 'waterproof' on the packaging. 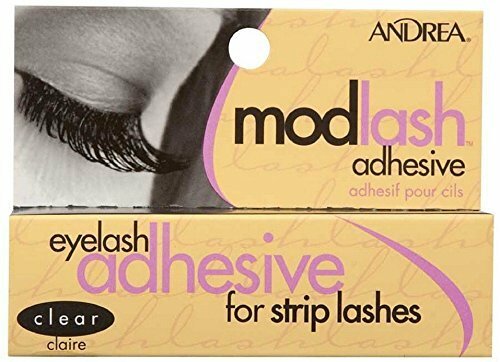 It is a safe, latex adhesive for use with Ardell Lashes, Andrea false eyelashes and other body decoration/accessories. Apply a thin line of Duo Lash Adhesive, Clear, 0.25 Ounce along the band of the false lash (NEVER apply directly to your eyelids). Gently peel lash strip from outer to inner corner of lid. Ingredients: Water (Aqua, Eau), Rubber Latex, Cellulose Gum, Sodium Dodecylbenzenesulfonate, Ammonium Hydroxide, Parfum (Fragrance), Coumarin, Geraniol, Limonene, Linalool, Formaldehyde. DO NOT use if you are alergic to rubber latex. When it comes to falsies, any makeup artist will tell you, it's not just about the lashes—the glue is equally as important. 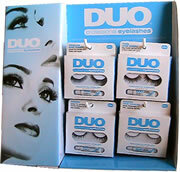 That's why many turn to DUO, one of the most sought-after lash adhesive brands on the market. 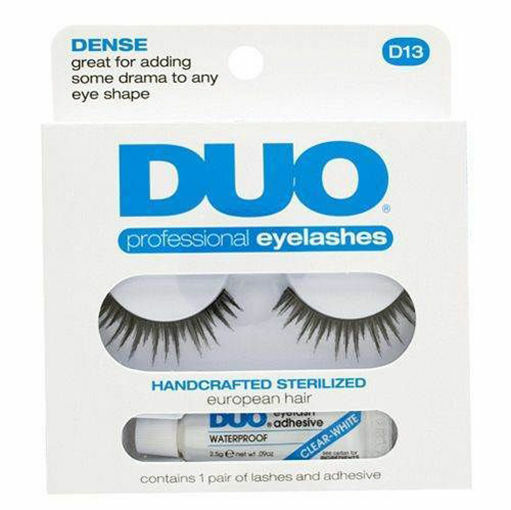 DUO's formulas are safe and gentle, yet extremely effective in providing strong lash support. A single tube allows for many applications due to the small amount needed in each use. Another plus that sets this brand apart from others is the variety: The powerful formula comes in multiple tones so that you can match it with the color of your makeup. Whether you wear faux lashes everyday or just experiment with them for a night out, DUO is the secret weapon to set your sights on. This was the only glue my makeup artist ever used. So this is the only glue I use. I've never used other brands but I can tell you that it works really good. Just dont get it directly on your lashes because it will work too well and may pull some out. This glue is AMAZING!! I love wearing fake eyelashes and just as a proof of how good this glue is I just have to say i had my fake lashes on for about 9 hours and they never once came off! So worth the money! Does the job wonderfully. The smell goes away once it's dry and overall it worked really well! Works wonderful. New to wearing false lashes and the glue that came with mine had me so frustrated. With Duo I was able to get the lashes on first try and they stayed on all day. I wore my favorite pair of false lashs to the concert. It was a hot day so when I came out I was drenched in sweat. Thanks for DUO, my falsies still held on perfectly! I love using this glue with my false eyelashes. It holds on lashes far better than any other adhesive I've ever used. It is comfortable, strong, and the black tone adds an eyeliner effect which I love. There's a reason this stuff dominates the falsie market and it's because it's the best and it lasts all day and night. How I apply my eyelashes: Before liner, shadow, mascara, anything. Just wait a few minutes for foundation and other face makeup to dry first. I usually use a bobby pin to help with edges and placing the lashes (I know that is the most difficult part for some people). After the falsies lashes are on, I then go on to finish the rest of the eye makeup. If you take proper care and get quality pair of lashes (I use KISS brand lashes), I have had them last up to 4 days. To make your false eyelashes last, try not rub your eyes and make sure to wash around them. Try not to put them under direct water in the shower either. Ive had glues that were like tar and impossible to get them off, and once had half of my eyelashes ripped out. 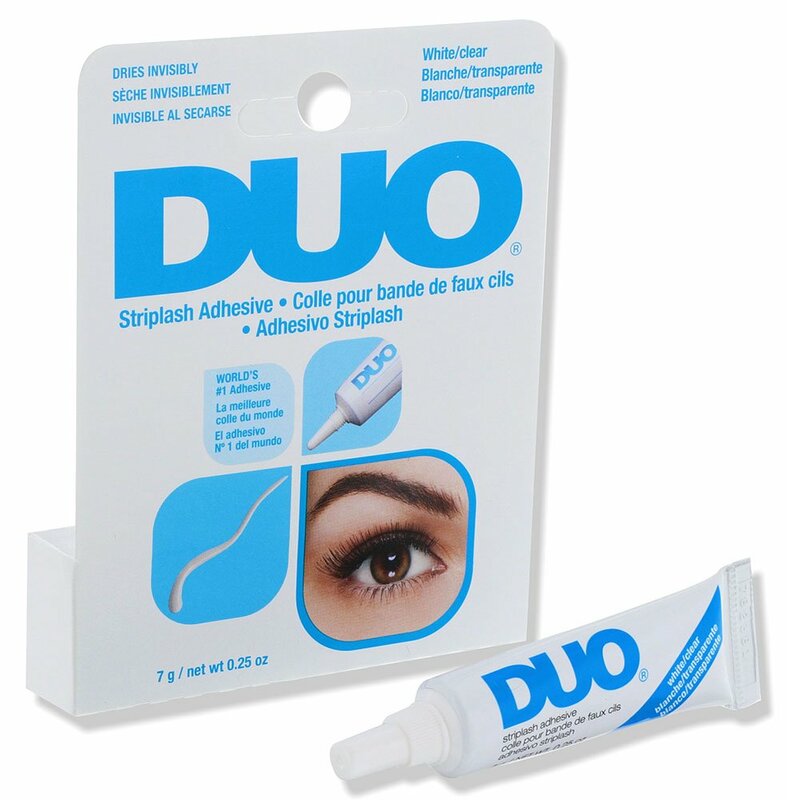 DUO comes out easily and I can just use my eye remover, or even olive oil, and it comes right off. I like buying this at Madame Madeline because it's so much cheaper, even more with their coupon. I had never worn false eyelashes until my wedding day. I ordered this glue because of the fabulous reviews and the reviews were right on point! It's amazing, it goes on so easily and dries clear. Get this glue adhesive!!! I have been using this adhesive for years now. Particularly the dark colored one and it never fails. Make sure to let dry for a bit until it becomes tacky before applying you lashes. 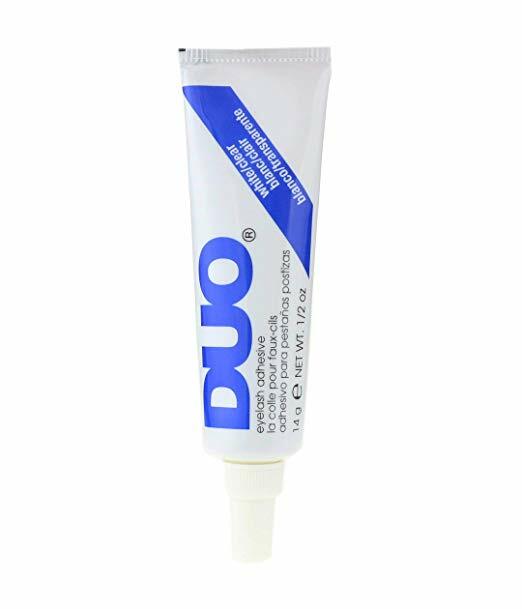 This glue always works great with any brand of lashes that I use, even the really cheap ones. It holds my lashes for hours through out the day with no issues. You only really need to use a small amount.